Are you a small business owner, realtor, consultant, therapist, artist, or medical professional with a web presence? Do you need team portraits, head shots, product or concept photography, images of your office space, personal branding imagery, or even social media and dating pics? Pop in for a quick session at my Malvern studio and choose from a gallery of images by the next business day. Discounts available for groups or businesses needing 3 or more individual head shots. 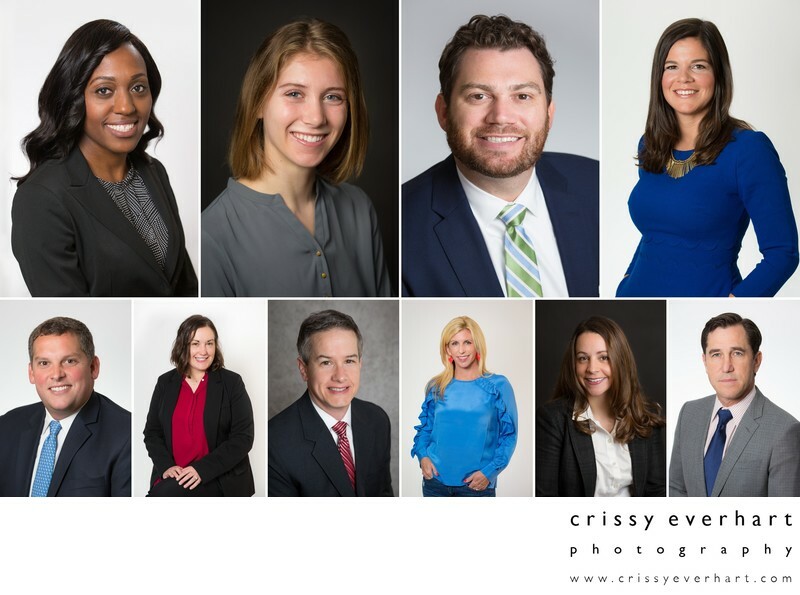 Corporate head shots can also be taken on location, at your office or trade show. $95 "10 Minute Head Shot"
"I just need something for LinkedIn" or "I need a photo for my web site" or "My boss says I have to"
"I want a formal and a casual photo" or "I need online dating pics" or "a few photos for my site"
"I need a consistent look for my brand" or "I'm completely redo-ing my site" or "I need product images"
Contact me for a custom quote on making your web presence more professional looking! Photos can be taken on a black, white, ivory, brown or blue textured "master", solid or textured gray, or even outdoors. Retouching is included on all business portraits. Retouching generally entails removing blemishes, redness or bumps, bruises, and fly-away or stray hairs. In addition to removing the "undesirables," I also whiten teeth, smooth skin, lighten dark circles, soften wrinkles, brighten your eyes, and any client-specific requests. All of this is done to look natural – I do not believe in photoshopping someone into a plastic version of themselves. Retouching should subtly enhance an image and not be apparent. You want to show off the finest version of you! Model and actor's head shots are also offered at the same price, and can include outfit and background changes as well as portraits taken indoors and at the outside studio. Images can be black and white or color, and you can purchase the digital high resolution files or 8x10 prints of your favorite images. Call or email me today and take the first step towards a better profile photo!